Shin was meditatin in his room until his meditationwas interupted by an alarm sounding an intruder. Shin stood up and grabbed his zanpakto and put on his captains haori that had his sleeves ripped off. Shin flash stepped out of his room and appeared on anearby roof to see a high speed moving target, it was the previous head captain rei. "so it looks like he finnaly showed himself"shin said to himself which he rarely even spoke. Shin saw rei stop and hit someone in the stomach, shin flashstepped behind rei and already had his sword pointed to his back with his long red scarf blowing in the wind. "do as leon said, give up or i will be forced to end you"shin muttered as he watched his other subordinates appear around rei with there blades pointed at him. "what a foul abomination"shin said to the sight of the mask appearing and then him firing a cero at his subordinates. When shin heard the captain say can you catch me, shin accepted the challenge as rei vanished to flee shin quickly flash steps a mile in front of rei. "you think you can evade the captain of squad 2, my speed is rivaled by no one"shin said bluntly as he pointed his sword towards the oncoming rei. "well it looks like someone is near my speed, but not quite enough"shin muttered as he flashstepped past the after image and appeared right next to the moving rei. "looks like im going to have to make you stand still"shin said as he sheathed his sword"Strike, Gaidoku Hebi"shin said as his blade glowed with a greenish hue then shortened and a chain appeared that the knife was attatched to. "now lets see if i can make you sit still you abomination"shin muttered while he was still next to the ex head captain. Shin started to swing the blade above his head and threw it towards rei hoping to entangle him with it or have him hit by the blade itself so his neurotoxin could hit him. Hmph"shin hummed as he say rei jump into the air and fire a cero. "you think thatll hit me"shin said as he focused on the position of rei. "senka"shin muttered as he vanished instantly to avoid the cero and pop up right next to rei then wrapped his chain around rei. "lets see if you can get away now"shin muttered. "Utsusemi"shin muttered as the electricity made its way to shin. Shin vanished but left an afterimage that looked like it was injured and was lite on fire and fell to the floor but as the smoke cleared shin was 10 feet above rei and the burning object was just shins captain haori. 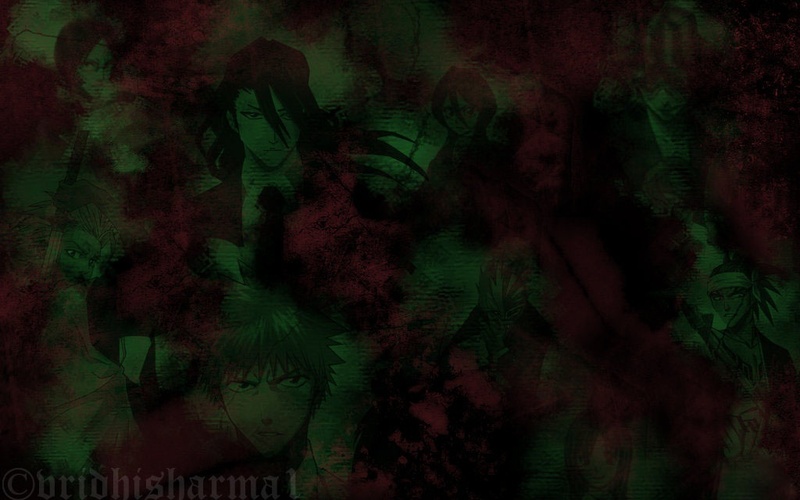 Shin stood above him hiding his reatsu were noone could sense it. "hmm this one i need to stay at long range"shin muttered as swung his cain blade and let it knick rei letting the poison enter his blood stream. "hmm my poison might have no affect on this one"shin muttered as he watched rei land on the ground and start running again. "this one never likes to stay still"shin said to himself as he quickly vanished keeping his reatsu and staying above him where rei could not spot him. In the middle of flash stepping shin transformed his chain blade back into his zanpakto and sheathed it. As shin was moving a hell butterfly came to him shin relayed a message to it and let it fly to any captains in range. "hmph, him with this lightning again"shin muttered as he saw rei jump into the air and release his sword and fire a spreading bolt. "you think ill get hit by those"shin said as he vanished out of sight and reappeared above rei a second time but this time shin had something else planned"Bankai"shin said as he drew his sword and held it spear like then the blade rounded then became a spear. "soudai dokudokushii hebi"shin said as his spear shot towards rei and slithered in the air as it was about to strike like a snake and inect its venom. "hmph"shin sighed as rei tried to block his spear. "you think my spear goes straight"shin said as his spear curved like a snake and went past the blocking sword slightly avoiding the electricity and curved around. As the blade burved it headed directly for reis back to inject the poison. "now poison him hebi"shin said as his spear tip opened like a snakes mouth with fangs dripping venom out. Shin saw rei jump onto the tip of the spear and prepare to stab it. "viper release"shin muttered as he saw the snakes start to sprout from the blade and start to slither up reis legs and prepare to strike at his body. "shin stopped the attack and withdrew the spear and turned back into his normal zanpakto and sheathed it. 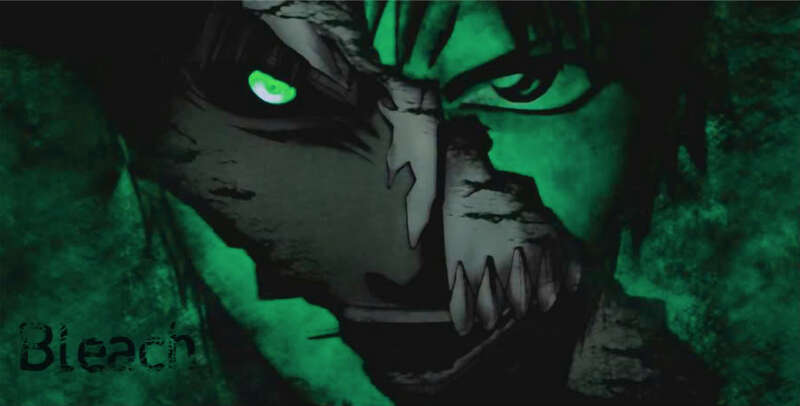 "youre quite an opponet but i must say you have quite a skill for being an abomination"shin said as he vanished instantly hiding his reatsu then reappering behin rei and stabbing him in the side with one of his paralytic poison knifes. "but i must take you in, its my job for being the captain of squad 2"shin muttered as he released the knife.